Revenge is Swede in this film version of the hot detective novel. It’s not every week that a Swedish novelist who’s been dead for six years makes the cover of Entertainment Weekly. Such is the engrossing power of Stieg Larsson’s posthumously published Millennium trilogy of Swedish-language detective novels. An unlikely hit in America, the series is now a hotly pursued property in Hollywood, but all three books have already been made into movies in Sweden. The first film, The Girl With the Dragon Tattoo, comes out this week at the Modern, and while it’s decent, it also leaves some room for improvement for the U.S. version. The story begins with Mikael Blomkvist (Michael Nyqvist), a respected Swedish journalist who has just lost a humiliating high-profile libel case. Into his wrecked life steps Henrik Vanger (Sven-Bertil Taube), the vigorous 82-year-old patriarch of a fading, family-controlled business empire. He offers Blomkvist a lucrative contract to investigate the 1966 disappearance and presumed murder of Vanger’s favorite niece, Harriet (played by Julia Sporre in flashbacks). Blomkvist can ill afford to refuse, with his reputation in tatters and a minimum-security prison stretch beckoning. To his surprise, as he digs into the case, he turns up enough new leads to place his life in jeopardy. 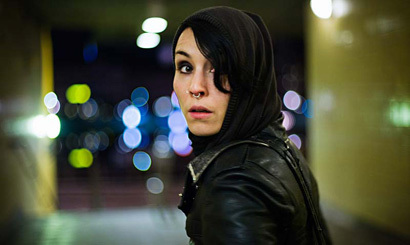 I haven’t yet mentioned the series’ defining character: Lisbeth Salander (Noomi Rapace), a diminutive, bisexual, heavily pierced and tattooed Goth chick whose antisocial manners convince many people around her that she’s mentally retarded. In fact, she’s a genius-level computer hacker with a photographic memory, an unerring instinct for people’s weak spots, and zero regard for anyone’s privacy. She doesn’t get involved with Blomkvist’s case until late, but she winds up doing more to solve it than Blomkvist himself. Salander is the star of this series, so it’s good that the best thing in the movie is Rapace’s spiky performance, radiating don’t-mess-with-me hostility that’s as chilling as any Swedish winter. As for everything else, the pace of this thing is too uniform, and Oplev squanders the comedy of Blomkvist’s first encounter with Salander at her apartment. Tone deafness pervades this movie; the scene with Salander being raped by her new legal guardian (Peter Andersson) feels no different from the later one when she gains revenge on him. A joyous reunion scene near the end is botched too. 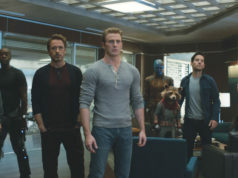 The movie benefits from Larsson’s intelligent plotting, but it attains the book’s shivery power only at one point, when we see an old photo of Harriet at a parade, an expression of fear and revulsion crossing her face as she looks in a different direction from the other spectators. We need to see more of that in the subsequent Swedish films (out here later this year), and the inevitable Hollywood version when it comes.